Beijing is the second largest Chinese city by urban population and is the nation's political, cultural, and educational capital. With a history dating back 3000 years, this dynamic city of 21-million is home to “China's Silicon Valley” and the headquarters of most of China's largest state-owned companies, and is a major hub for the national highway, expressway, railway, and high-speed rail networks. 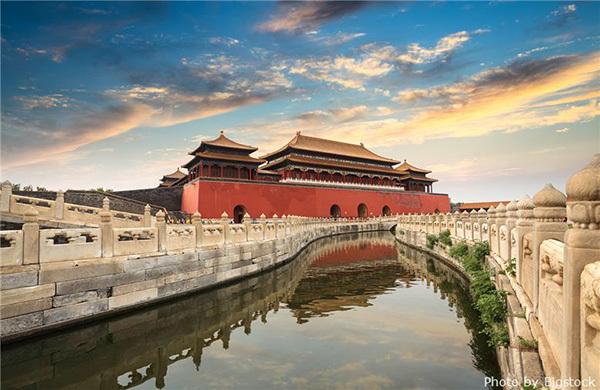 Beijing has been the political center of China for the past eight centuries and is renowned for its palaces, temples, gardens, tombs, gates and the city's famed maze-like hutong alley ways. 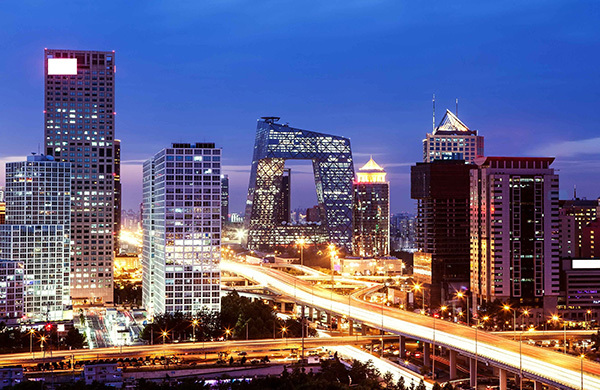 Apart from its profound history, it is a fast-paced metropolis that is home to Beijing University and Tsinghua University (China's Harvard and MIT) and the Chinese Academy of Sciences. 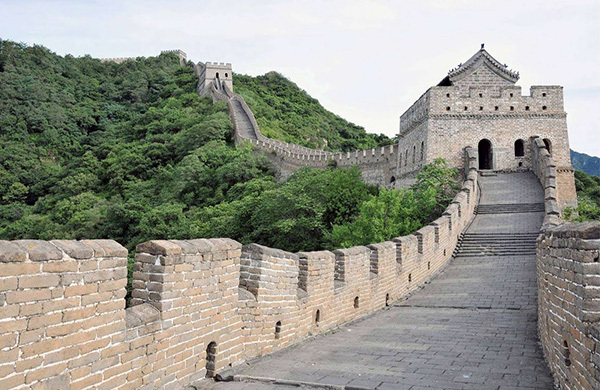 When not at our GMGC Conference, you can easily visit landmarks such as the Forbidden City, Temple of Heaven, and Great Wall via the Beijing Subway. If you've decided to transfer into the city separately, you can take the Airport Express train from Terminals 2 and 3, which will connect you directly to the subway. Taxis are also a great and convenient option, especially if you have a lot of luggage or are visiting Beijing for the first time. 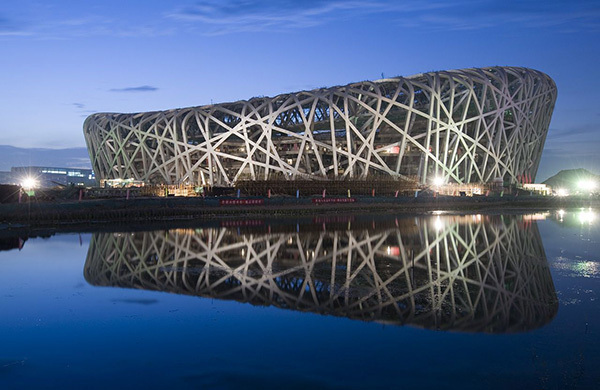 The GMGC Conference will be hosted at the China National Convention Center (CNCC) in Beijing, China. 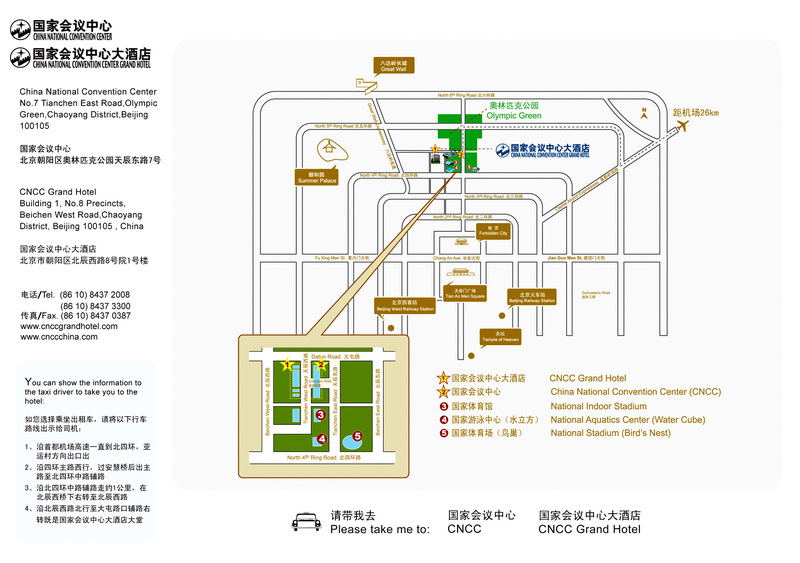 Situated only a stone's throw away from the famed 2008 Olympics’ “Bird’s Nest” stadium, the CNCC is easily accessible by public transit and taxi. Take Line 8 heading towards Chedaogou, getting off at the Olympic Green station, exit E.
To arrive by taxi, you may either let your hotel concierge know you are going to the CNCC, so that they may help communicate instructions to your taxi driver, or you can download this map to share with your taxi driver.